A house for a sculptor. 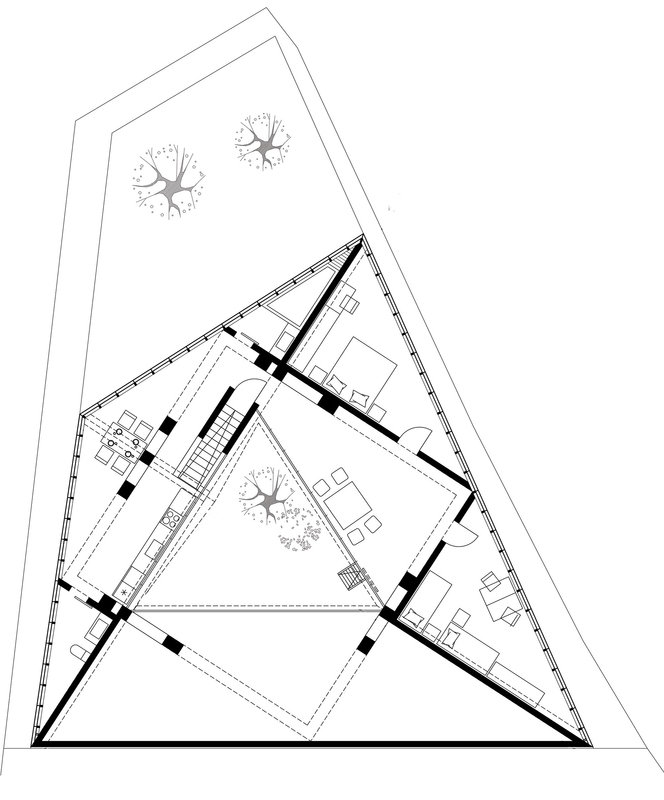 The ground floor holds the double-height studio space and the two gardens, whereas the living functions have been pushed to the second floor. The outer garden is also an exhibition space for the artist’s works and is thus open to the public. The inner garden, separated from the outer one by a single wall is private and accessible only from the studio and the living area. The house plays with “public” and “private”, allowing a glance into the dweller’s life through a semi-transparent skin, but hiding the “secret garden” as its inmost feature.